Although the University of North Carolina at Chapel Hill’s former chancellor, Carol Folt, will mostly be remembered for the numerous scandals and years-long protests on campus during her tenure, she also leaves behind other less-publicized, but still controversial, projects. I think what people haven’t been understanding is that art is a way to get people excited…You don’t raise money from artists; you raise it from business, scientists, and doctors. People don’t give you money to fix things like water fountains and bad air. In addition to UNC-Chapel Hill using Arts Everywhere to appeal to donors, it seems that the school has also used the initiative to divert attention from the infamous 2010 athletic-academic scandal. The NCAA’s investigation of UNC-Chapel Hill, it turns out, closely aligns with the unveiling of Arts Everywhere. For example, in December 2016, the NCAA sent UNC-Chapel Hill a third notice, alleging unethical conduct by school officials and impermissible extra benefits for athletes. Arts Everywhere debuted only a couple months later. And the timeline of the NCAA’s investigation shows that, as its culminating decision dropped in October 2017, Arts Everywhere was in full swing. Right after 2017’s Arts Everywhere Day, UNC-Chapel Hill released a redacted response to the third NCAA notice. Yet the university focused not on its defense for the allegations, but on the glory of Arts Everywhere Day. They flooded their social media accounts with pictures of a smiling chancellor Folt socializing with creative students and Rameses, the school mascot. 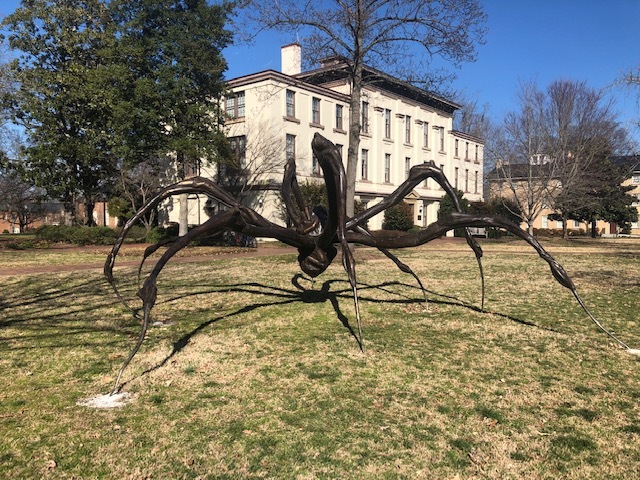 A few months later, the NCAA concluded the investigation—while chancellor Folt celebrated new stick-work sculptures in front of Ackland Art Museum and a hefty $41.5 million donation of three major art gifts received by Ackland. Perhaps as damage control, Arts Everywhere partnered with UNC athletics to make a video portraying a positive image of college sports. The first video came out March 2017 and featured UNC track and field athletes displaying their talent along with their appreciation for the arts. In case that wasn’t enough, a video four days later featured UNC student-athletes playing the piano on Fetzer Field. In the background, however, the fate of university athletics was still undetermined in the eyes of the NCAA. Interestingly, ever since the NCAA made its final decision not to penalize the university, Arts Everywhere has not collaborated with UNC athletics. Though the athletic-academic scandal is long over, the Arts Everywhere initiative continues to expand on campus—along with its painted pianos, massive spider sculpture, and various forms of “artivism.” It now has an advisory board, student ambassadors, office space, and a mobile app. As a school known for its struggles with academic integrity and liberal bias, Arts Everywhere allows administrators to rehabilitate the university’s public image (as well as virtue-signal and raise more funds) while diverting attention from the real issues the campus faces, such as a lack of intellectual diversity. Hopefully, UNC-Chapel Hill’s future leaders will not seek to skirt public shame by investing resources in superficial—and often politicized—initiatives. Instead, they could re-invest those funds in shoring up existing programs and teaching students how to think instead of what to think. 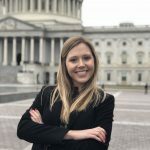 Magdalene Horzempa is a Martin Center intern and a student at the University of North Carolina at Chapel Hill.